Friend’s of Padre Steve’s World. Before I say anything else tonight I just want to thank you for taking the time out of your schedule to read, comment and even share what I write. That matters to me and a good number of you have followed my writings for years. So I truly thank you from the bottom of my heart, and if you like what you see please comment and share with others. I will continue to be as transparent as I can about my own struggles withPTSD and faith in the hopes that my journey will help others who struggle like me. In fact this was a major reason that I started this site back in February of 2009. Expect more writing about the Battle of Gettysburg and the Civil War. I have a feeling that that is going going to become a life work, even after I retire from the Navy. The American Civil War is so pertinent to who and what we are as a nation and the more I study it, the people, the issues and the ideologies involved I see many parallels with today; some of which are positively frightening. So expect a lot more about these subjects. In fact the Civil War is one in which debunked myths still hold sway over many, especially among the defenders of the Lost Cause who predominate the Christian Right. To do this I have to constantly challenge my own thoughts. Even in my work on my Gettysburg and Civil War text I uncover information that points out mistakes in previous editions of my work, and I am not so arrogant that I cannot admit making a mistake or changing my conclusions on a subject. I am actually doing that now on a chapter revision to that work. 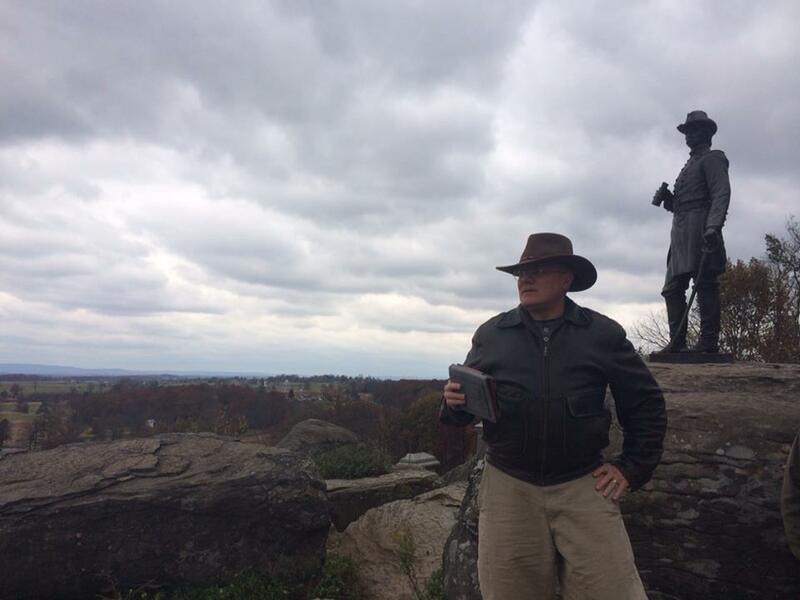 As far as other goals, I want to get a publisher for the Gettysburg text, who knows, what I have already written might be two or three books. If you know someone who can help, let me know. I also plan on beginning work on a doctorate to take with me into retirement.